Get the ultimate swirl-free finish with Wolfgang Total Swirl Remover 3.0 and Wolfgang Finishing Glaze 3.0. Nano diminishing abrasives correct paint without creating swirls. 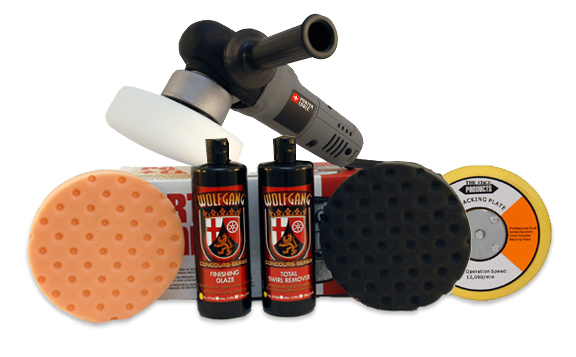 The Wolfgang Duo & Porter Cable 7424XP Dual Action Polisher make professional quality paint correction achievable for anyone. 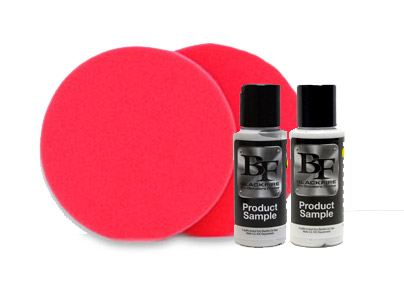 This kit utilizes the latest German paint correction technology to restore paint in just two steps. Even if you are new to machine detailing, you can achieve excellent results with the Wolfgang Duo & Porter Cable 7424XP. The CCS Orange 6.5 Inch Cutting Foam Pads is included for general swirl and defect removal. Orange pads are less aggressive than the yellow pads. Use the orange pad to apply swirl removers and polishes. I bought a lot of buffer n polisher .. But this the best that ive got so far ...car enthusiast like me its a must!!! ProsThe weight was perfect, the extra long cord was a great upgrade, the switches are convenient enough to find them easily while working but hidden enough that you don't accidentally hit them.